Hey there Echo Park fans- Tya here. 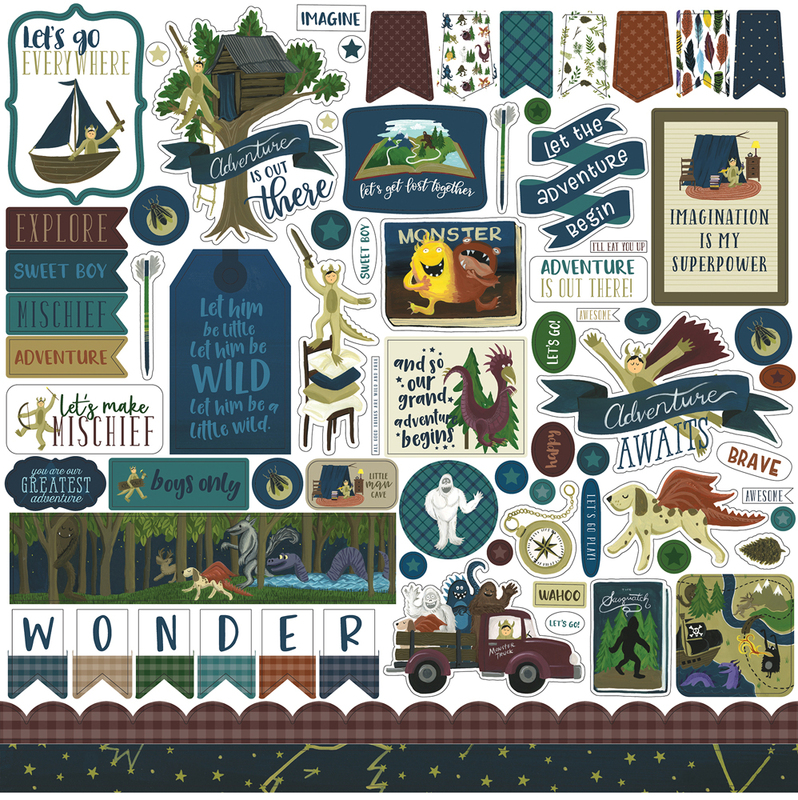 I am such a sucker for a cute boy line so when I saw this cute collection called Adventure Awaits; I knew I had to make a layout featuring my favorite little boy. This collection is full of adorable icons and I love the color pallet so much! The navy and yellow just pop! I had so much fun with it. I like using the Ephemera pieces as spots for my journaling. This large bracket die cut had some printing on the front, so I just flipped it over to the plain white side and added my typed journaling and decorations on there. I love that cute little boy on the chair! He is a chipboard piece. I also added some twine, stickers and enamel dots for more decoration. The bottom section here is made by layering Ephemera, Chipboard and stickers. I always like to add some enamel dots for some shine as well, so there are a few of those sprinkled on this section as well. Thank you so very much for stopping by the blog today, If you have and adventurous little spirit in your house like I do, this collection is for you! Happy Crafting! Nicely done layout! I love it!